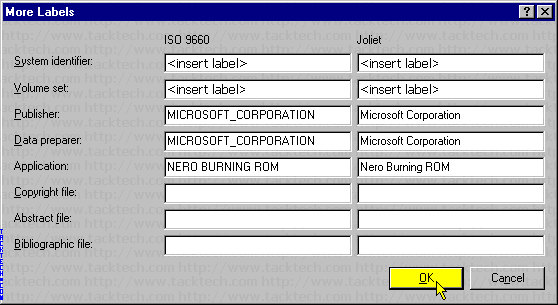 Note: Nero Burning ROM 6.3.1.20 was using in this example. Note: Skip this section if you have slipstreamed your OS using TTID #295. 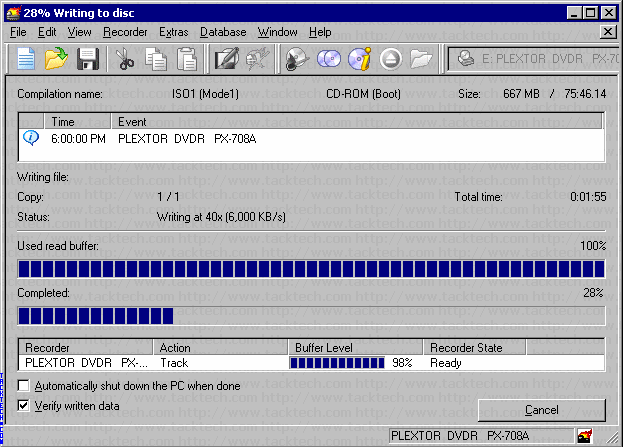 A copy of the original Windows CD/DVD or ISO. 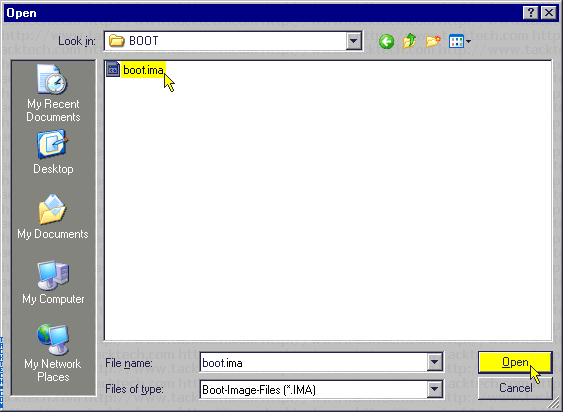 A copy of the Boot Files (Downloaded Below). A minimum of 1GB available hard disk space for CD's. A minimum of 5GB available hard disk space for DVD's. 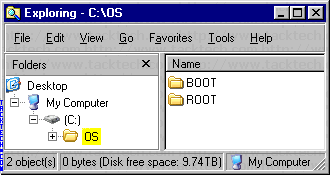 Create a folder called OS on your hard drive (C: is used in this example). In this folder create two sub-folder called BOOT, and ROOT. 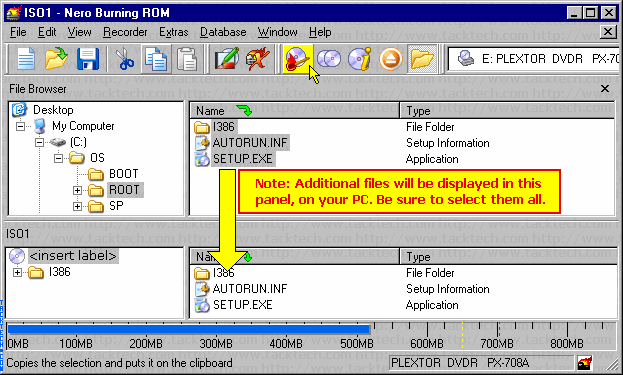 Copy the entire Windows 2000/XP/2003 CD (or extract the ISO) into folder ROOT. Note: This section is required. Note: Links to regarding Nero are found at the top of this article. Select File > New... from the menu. 2.) Select Image file from Source of boot image data. 3.) Check Enable expert settings (for advanced users only!). 4.) Set Kind of emulation: to No Emulation. 5.) Set Load segment of sectors (hex! ): to 0000. 6.) Set Number of loaded sectors: to 4. 7.) 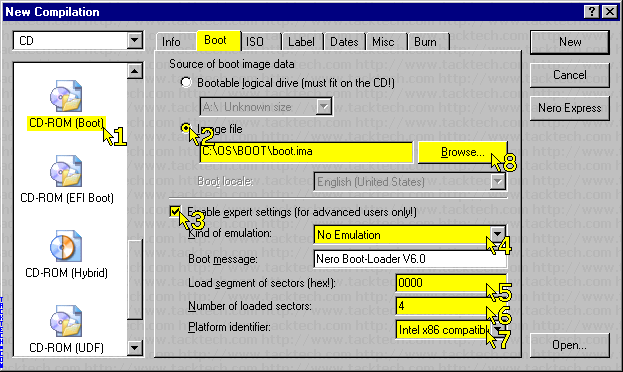 Set Platform identifier: to Intel x86 compatible. 8.) Press the Browse... button. 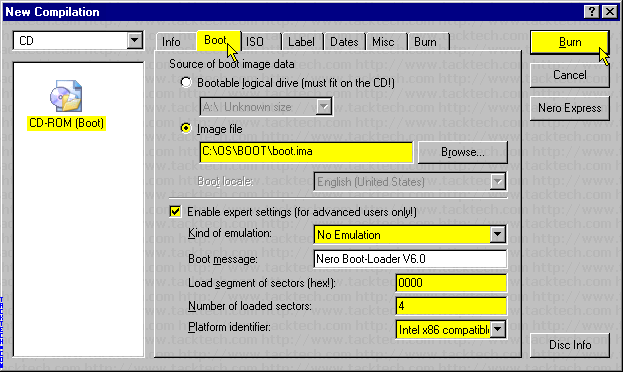 Locate the BootSector file (boot.ima) in the folder C:\OS\BOOT. Click on the ISO tab. - Set File name length to Max. of 31 chars (ISO Level 2). - Set Format to Mode 1. 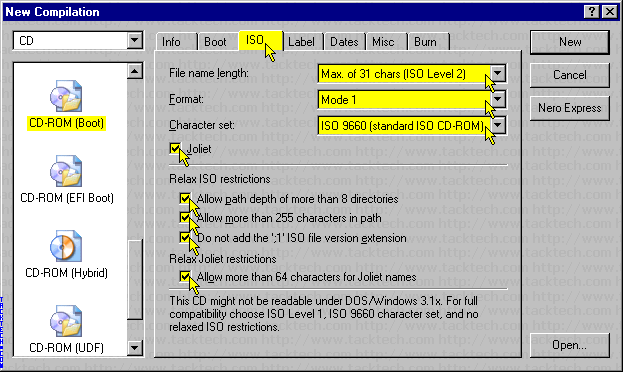 - Set Character Set to ISO 9660 (standard ISO CD-ROM). - Check the Joliet check box. - Check all Relax ISO Restrictions. - Check Allow more than 64 characters for Joliet names. Click on the Label tab. Remove the check from Also use the ISO 9660 text for Joliet. 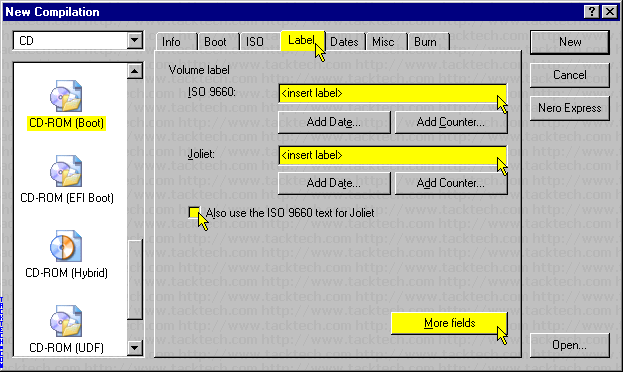 Enter the Volume Label into the ISO 9660 and Joliet text boxes. Click the More fields button. Data preparer, Application text boxes under ISO 9660 and Joliet. - Check Finalize CD (No further writing possible!). - Click the New button. - Locate the folder C:\OS\ROOT. - Select everything in the folder and drag it to the ISO compilation panel. Note: Some files are not show in the following image. 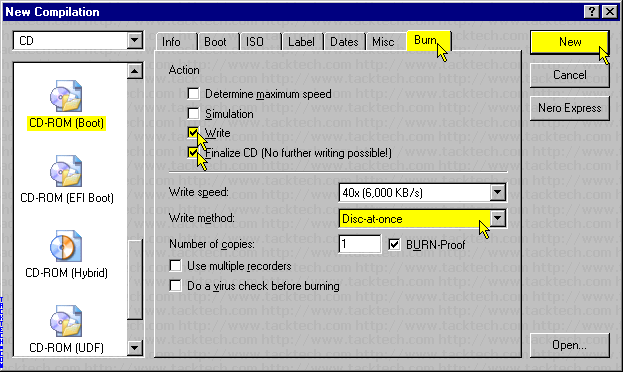 - Click the Write CD Dialog button. 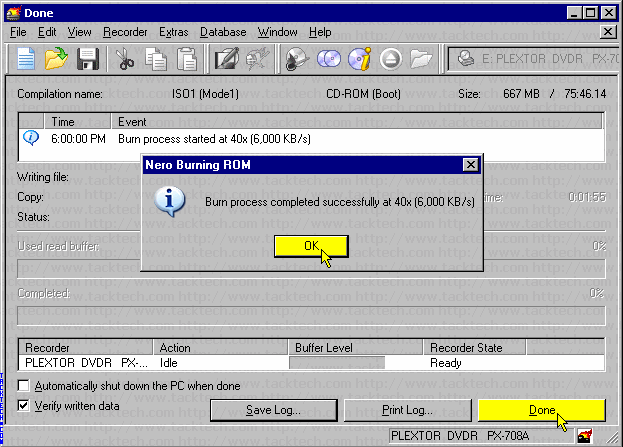 - Verify the settings. Correct if needed. 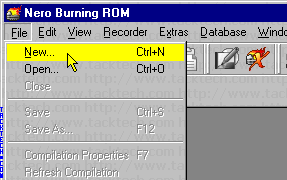 - Click the Burn button. Wait for Disc creation to finish.